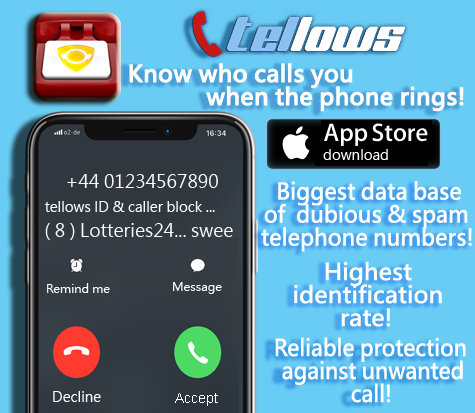 we are happy to announce that we are working together with one of the worldwide leading provider for phone book apps: Truecaller maintains a database with over 2 billion numbers which can be searched to identify phone numbers. It is possible to directly block spam and suppressed numbers. Using the search request feature, you can easily add numbers into your contact list or report them as spam, so other users can be warned as well. 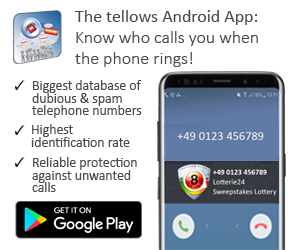 This entry was posted in App suggestion and tagged app suggestion TrueCaller, phone book app TrueCaller, spam protection with TrueCaller, tellows cooperation with TrueCaller, TrueCaller App on Thursday November 12th, 2015 by tellows.de Team.